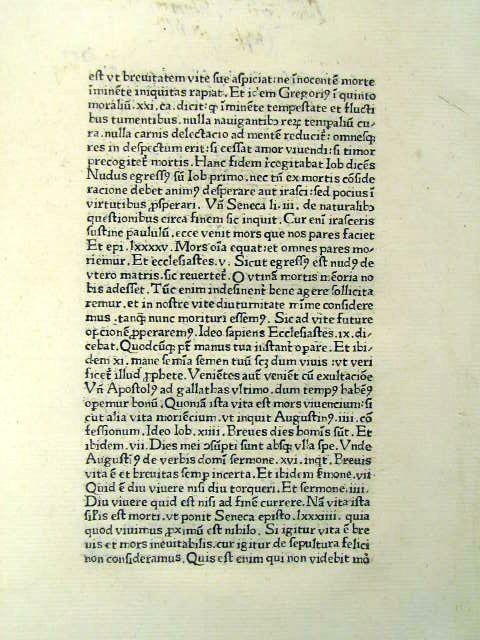 Jacobus Magnus (ca 1365-1422) was born in Toulouse, France. He became an Augustinian Friar. 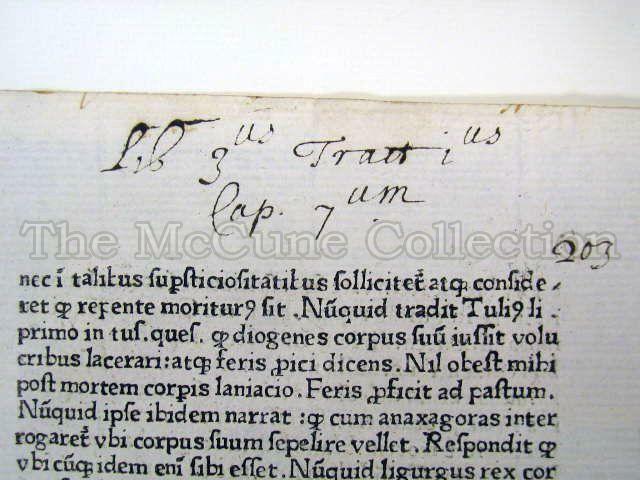 (Jacobus Magnus was the Latinized version of his French name Jacques LeGrand). Magnus was a scholar who studied the scriptures as well as the ancient philosophers. 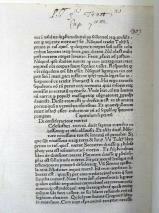 He held the position of professor of Philosophy and Theology at University of Padua. 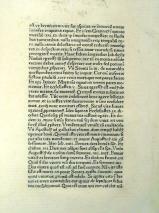 Magnus wrote commentary on Aristotle’s works as well as composing a number of other books. He was also a noted preacher and was noticed by the royal court of Charles VI. He criticized the conduct of the queen, Isabeau of Bavaria. 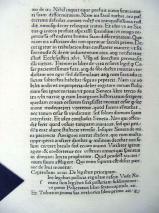 Charles VI sent him to England as a negotiator with the English court since the French had been defeated at Agincourt. Sophologium is a collection of passages from the works of ancient and medieval writers including Muhammad Abu Mashar (Persian astrologer), Seneca, and Chaucer. The term comes from two Greek words “sophia” (wisdom) and “logos” (study). Basically it deals with the social aspects of morality (i.e., reflecting on vices and virtues) and science. 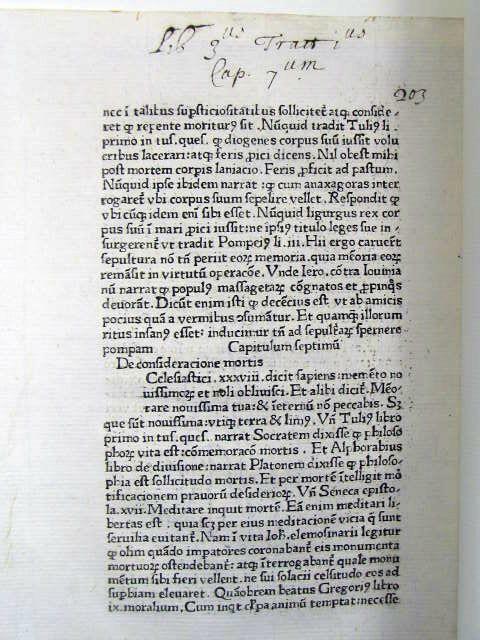 The author Jacobus Magnus took passages from philosophers, orators, theologians, poets and scientists and used these as a guide to life. It may have been meant as an aid to preachers. 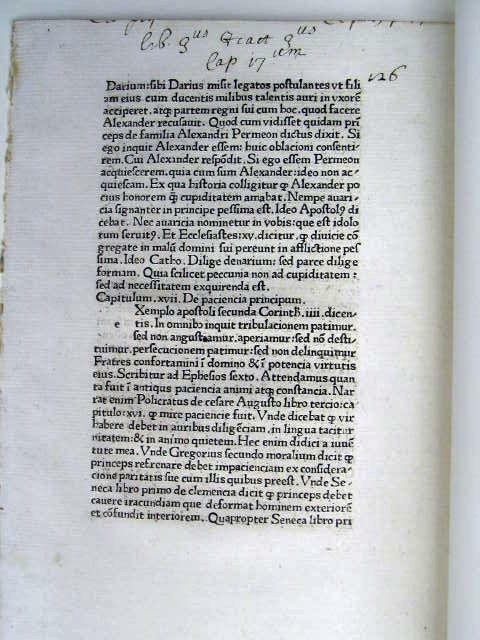 This book was very popular during the Renaissance with 23 editions printed and was translated into both French and English. 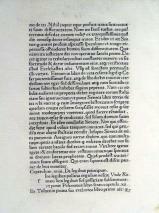 The famous printer William Caxton translated it into English in 1487 and named it “The Book of Good Manners. Our two leaves are composed of Roman type. There are 35 lines to the page. 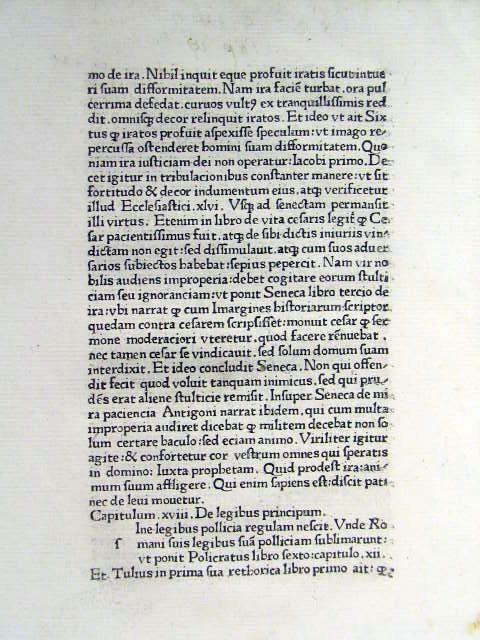 Blank spaces with guide letters were left on the page for the illuminator to complete on one leaf. There are handwritten notes at the top of both of the verso pages. 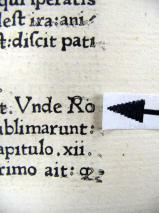 The noted majuscule R that is associated Adolf Rusch is found on each of the verso pages. 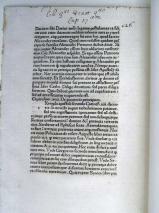 The also appears to be a blank space for an initial but without a guide letter on one verso page. 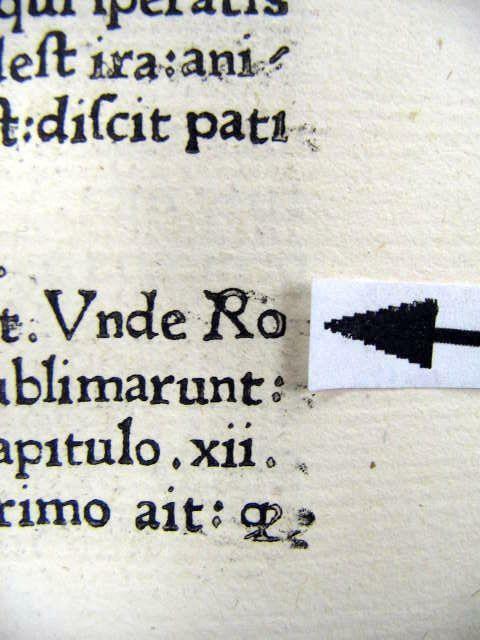 Adolf Rusch (1435-1489) was an early printer and paper merchant in Strassburg. 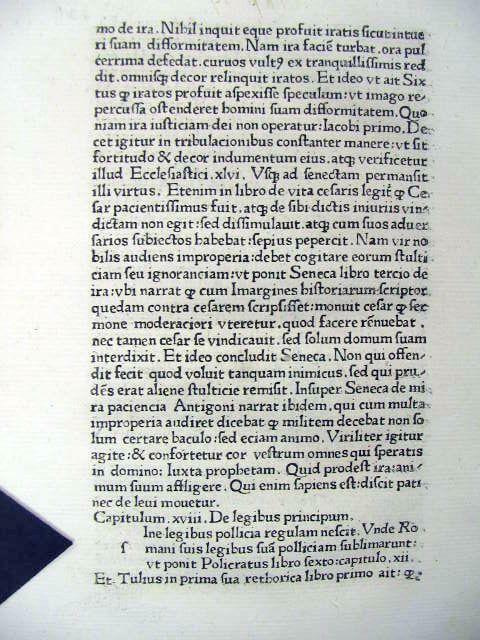 He was first just known as the “R-printer” because although he did not put his name on his publications, he did use a special Roman type capital “R” in his early works. It was later determined by Karl Dziatzko that this R-printer was Adolf Rusch of Ingeweiler. Rusch married Salome (the daughter of the primary printer of Strassburg, Johann Mentelin). He then succeeded to take over Mentelin’s business upon his death. [Mentelin was the first printer in Strassburg and is believed to have learned the printing trade from Johann Gutenberg]. 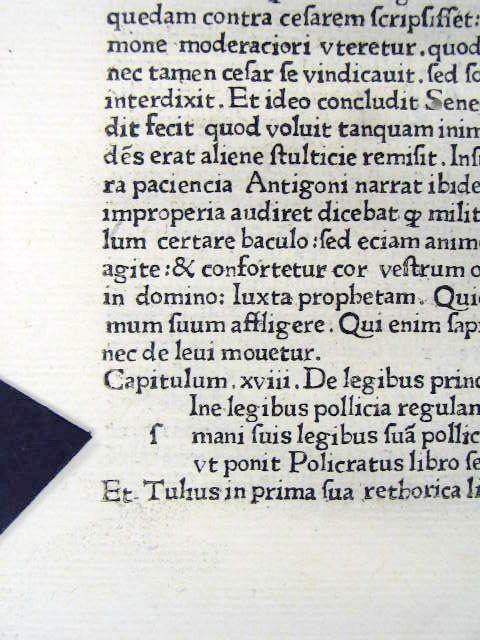 Rusch was the first German printer to use Roman type instead of the Gothic type which was commonly used.